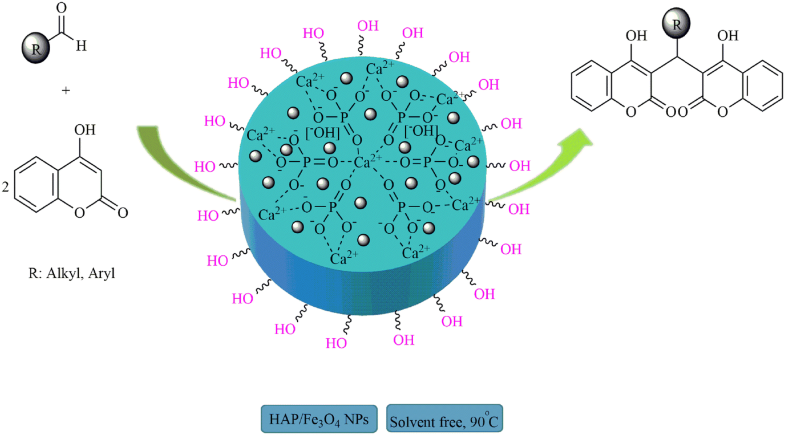 The magnetic nanostructured natural hydroxyapatite (HAP/Fe3O4 NPs) as a novel magnetic nanocatalyst was synthesized and fully characterized. The excellent catalytic activity of HAP/Fe3O4 NPs was investigated in the synthesis of biscoumarin derivatives under mild, green and solvent-free conditions. A series of aromatic (bearing different functional groups), heteroaromatic and aliphatic aldehydes have been converted to biscoumarins with good to excellent isolated yields. The significant advantages offered by the present method in close agreement with green chemistry principles are: catalyst is inexpensive, non-toxic, easy handling and reusable up to six recycle runs, magnetic separation of nanostructured catalyst, simple work-up procedure, short reaction time, high yields of products and using solvent-free conditions. 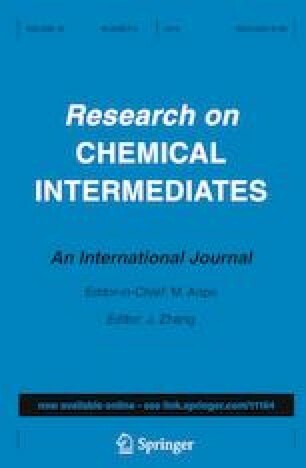 The online version of this article ( https://doi.org/10.1007/s11164-019-03788-2) contains supplementary material, which is available to authorized users. The authors gratefully acknowledge the partial support of this study by the Ferdowsi University of Mashhad Research Council (Grant No. 2/47664).